THURROCK Council has negotiated an agreement with the owners of King Street Car Park, Stanford le Hope to provide two hours free parking over the Christmas and New Year period. From Saturday 9 December, residents and businesses in Stanford le Hope will benefit from being able to park for two hours free of charge, after Thurrock Council agreed to block book 32 spaces and offer them to visitors on that basis. 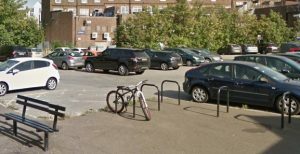 The agreement follows calls for the owners to re-introduce free parking and a petition submitted to Full Council in July and debated in October asking the local authority to do everything within its power to make this happen. After negotiations, Thurrock Council and the owners have come to this temporary arrangement while a longer term solution is found. Portfolio Holder for Transport, Cllr Brian Little, said: “I am very pleased we have been able to get this measure in place for residents and those visiting the area in time for Christmas. “It is right that we support our local businesses by giving shoppers the ability to pop in without having to pay for parking – especially at this festive and busy time of year.